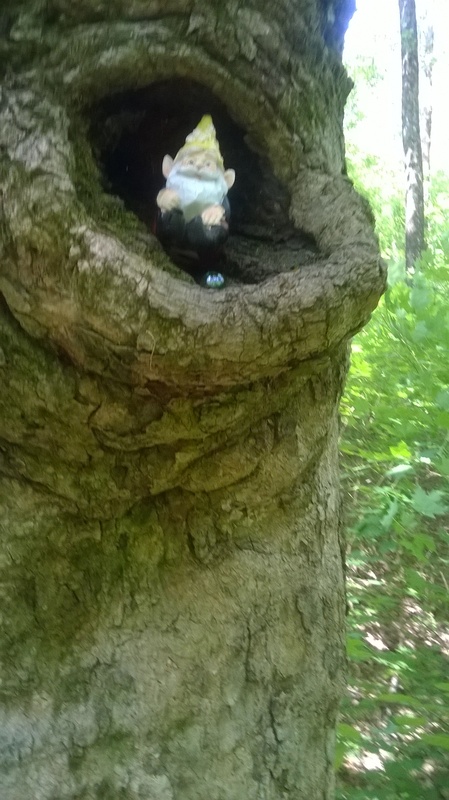 As a child I would imagine that I was as small as this gnome, able to escape from the trouble and stress of home. This urge still lives within me now. For nearly all my life, I’ve been confused about my true calling. The higher purpose that would bring me to a career. Mid life is here with it’s graying and thinning hair, wrinkles, and weight gain. What am I? What do I? A teeming river of aquatic life. Some say the obstacles are our teachers. So a pattern emerges in the way the waves are breaking on my shore. A chronic illness I’ve been treating with diet alone now requires a befuddling management of stress. It must be all in the means. The way I’ve wanted more, and needed less. The way I’ve cared about things I cannot afford to care about.